Leading Manufacturer of inkjet jar for printing industry and inktec inkjet jar from New Delhi. 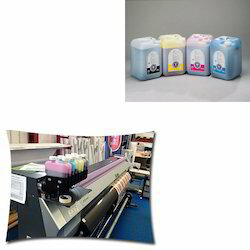 We are one of the praised merchants and suppliers of Inkjet Jar for Printing Industry that is tremendously utilized for putting away ink utilized for printing applications. Lightweight, substantial and simple to convey, these containers are made accessible in distinctive abilities to indulge the fluctuated requests of our clients. The proffered accumulation is acknowledged for its sealed property and intense development. We offer these at sensible rates. We are one of the celebrated traders and suppliers of Inkjet Jar that is vastly used for storing ink used for printing applications. Lightweight, capacious and easy to carry, these jars are made available in different capacities to cater to the varied demands of our customers. The proffered collection is appreciated for its leak proof property and tough construction. We offer these at reasonable rates. 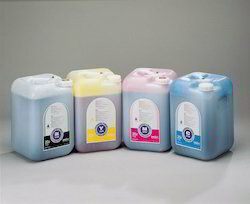 Looking for Inkjet Jar for Printing Industry ?